Yesterday, a major scientific breakthrough was reached as the existence of gravitational waves was confirmed with the announcement by a team of physicists that they had heard and recorded the sound of two black holes colliding a billion light-years away. If that sounds too complex, it’s because it is. But the research that went into the discovery is well worth a read, if a tad (read: very) incomprehensible even to an interested layman like me. Thankfully, you don’t need a Ph.D. in astrophysics to play this new “gravitational” iOS game that I’m about to recommend. How’s that for a segue, eh? 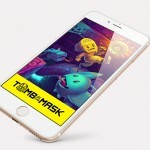 The game in question is Planet Revenge from Armor Games, the studio behind Flight!, Detective Grimoire, and other iOS games. I like to think of Planet Revenge as something of a Flappy Bird in outer space. 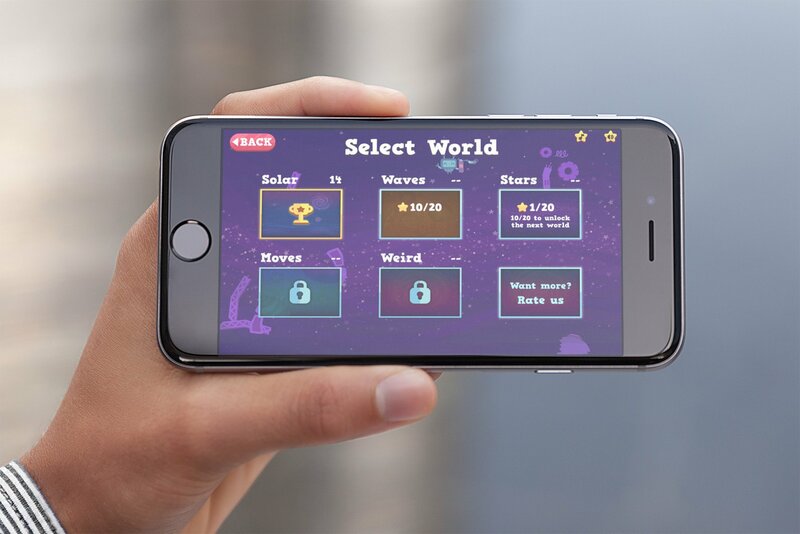 Like Flappy Bird, Planet Revenge has you tapping to guide the main game character in order to avoid obstacles across a side-scrolling environment. 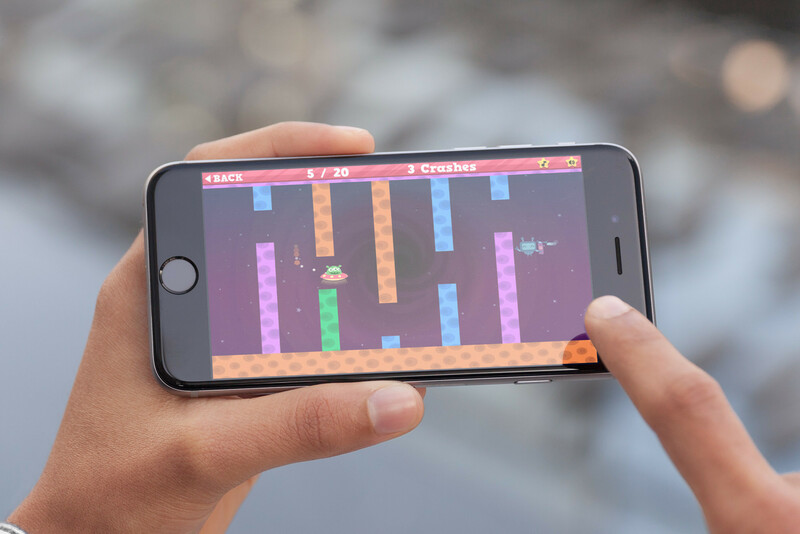 But unlike Flappy Bird, where you control a bird attempting to fly between rows of pipes à la Super Mario Bros., Planet Revenge has you controlling an alien-occupied UFO as it navigates different worlds. Also unlike Flappy Bird, which is an endless side-scroller, Planet Revenge is a level-based game, challenging you in each level to go from one side of the screen to the other without, well, dying along the way. So, what do you have to do to not die in Planet Revenge? Well, the game’s controls are easy enough. Just hold and release to change the direction of the the vertical movement of the UFO as it travels from side to side. What complicates the proceedings a bit is that the levels have varying gravity effects, with the direction of gravity across a certain portion of a level indicated with an arrow. As a result, while in one level you would hold to make the UFO go up and release to make it go down, in another level you would have to do the reverse. In Planet Revenge, you basically have unlimited lives. But every crash you incur is recorded. Your goal, then, is to complete all of the game’s 100 levels across five worlds in as few attempts, that is, with as few crashes, as possible. 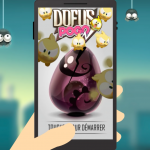 Should you find a level particularly difficult to get through, you can skip it by watching an ad, but with the caveat that skipping a level adds 50 crashes to your tally. You can find out how well you’ve been faring by checking out the Game Center leaderboards and achievements. 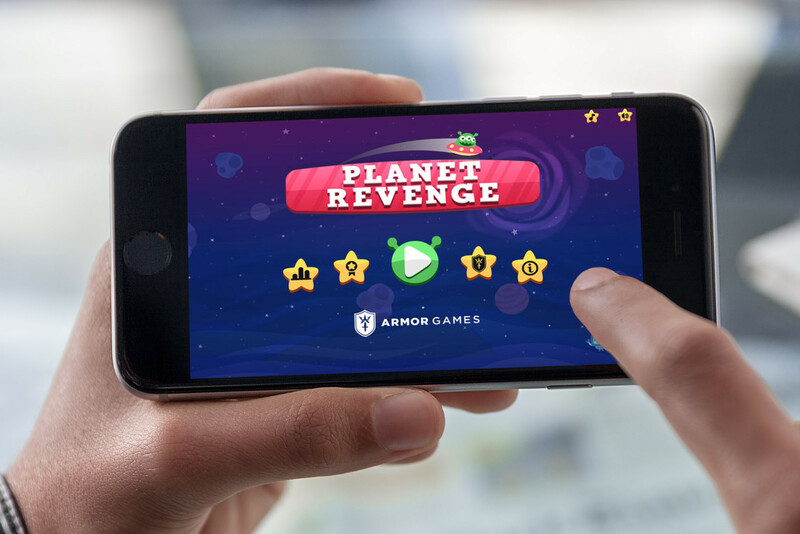 Compatible with iPhone, iPod touch, and iPad running iOS 6.0 or later, Planet Revenge is available now on the App Store as a free, ad-supported game. For more new and noteworthy iOS games, see also: Amazing combat and graphics coming soon in Heroes of Skyrealm, Explore the elements of life in _PRISM, and Prove your worthiness by restoring balance in Shadow Blade: Reload.